Full length zipper on jacket, 2 side pockets with zipper on jacket and trousers. Drawcord waistband with stoppers on jacket. Tracksuit can be made with hood as option. Ask about details. 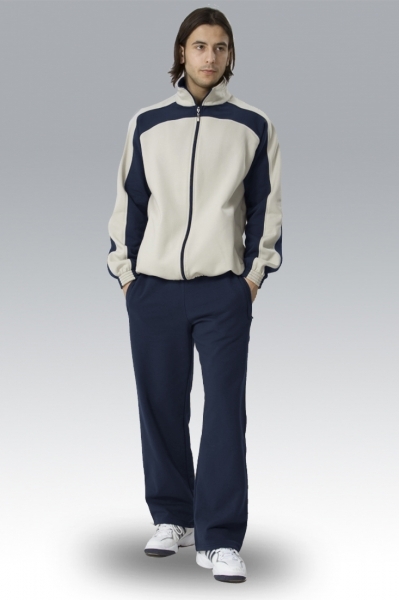 Tracksuit is available in sizes from 116 to adult XXL+. To have sizing chart click here. Tracksuit can be fully customised. Llogos and lettering can be printed or embroidered. !! Are you interested in tracksuits in your own design and colours?